In today’s conservative lending environment, it can be very difficult to obtain loans in Lane County on raw land, or even on bare lots in a subdivision. Raw land is often in its natural state and probably doesn’t have utilities or other infrastructure in place, whereas subdivision lots are often ready to build on. So what do you do if you find that perfect parcel of land, but don’t have all the cash to buy it? In some cases, seller’s will agree to a land sales contract, in which they essentially finance the purchase. Sellers retain title to the property until you perform under terms of the contract. Sellers I know usually want the cash, if possible, and aren’t thrilled with the risk of holding title to a property not controlled by them; they may need to take it back, or there could be a problem brought about by the new buyer, like dumping of something nasty on the property. Most banks don’t want to loan on raw land because the loans are difficult or impossible to sell on the secondary market. (Most banks don’t own your loan, merely the servicing rights; the underlying loans typically get sold off on the secondary market.) Land is also perceived as risky, because if they need to repossess it, there is no quick source of rental income, and development costs can be largely a mystery. 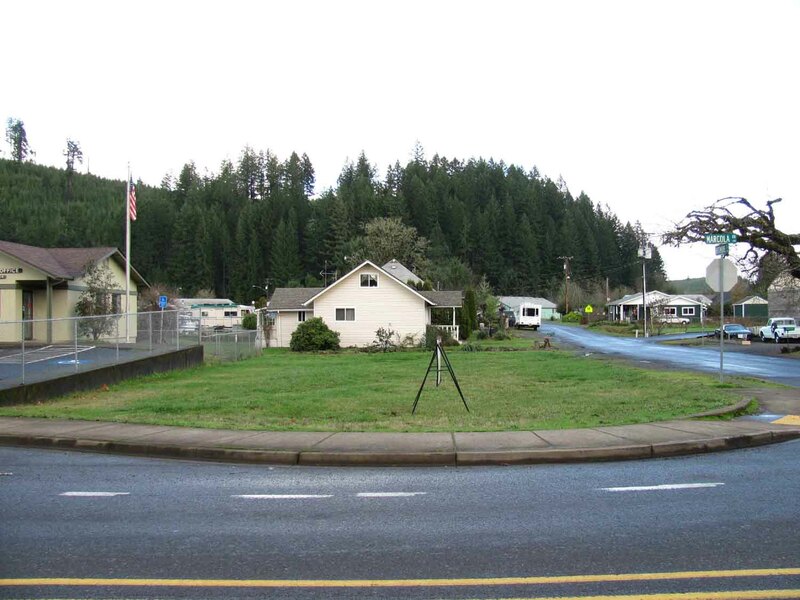 There are a select few lenders in Eugene Springfield that will loan on bare land. There are the so-called hard money lenders, but they tend to be expensive, and LTV ratios are low. However, for certain situations, they may make sense. There are a few portfolio lenders in town, who can and will loan on raw land, or just about anything that makes financial sense to them. Down payments may be as low as 30%, which is great for land. If I were wanting to purchase land in Lane County, I think a portfolio lender would be my first stop so I could find out about the financing available. My second stop would be to call a good honest realtor, especially because it’s free as a buyer. Below is a picture of a lot I have listed, and on which I lowered the price. It’s a good example of property for which a portfolio lender makes a lot of sense. This entry was posted in Country Property Lane County Oregon, Loans/Financing/Credit, Real Estate and tagged land eugene oregon, land lane county oregon, land springfield oregon, loans on land, loans on land eugene oregon, loans on land lane county oregon, loans on land springfield oregon, loans on lots, loans on lots eugene oregon, loans on lots springfield oregon, lots lane county oregon. Bookmark the permalink.